Man With Pen Reading Text Message On Mobile Phone In Network,sitting With Laptop Computer In Co-working Cafe. 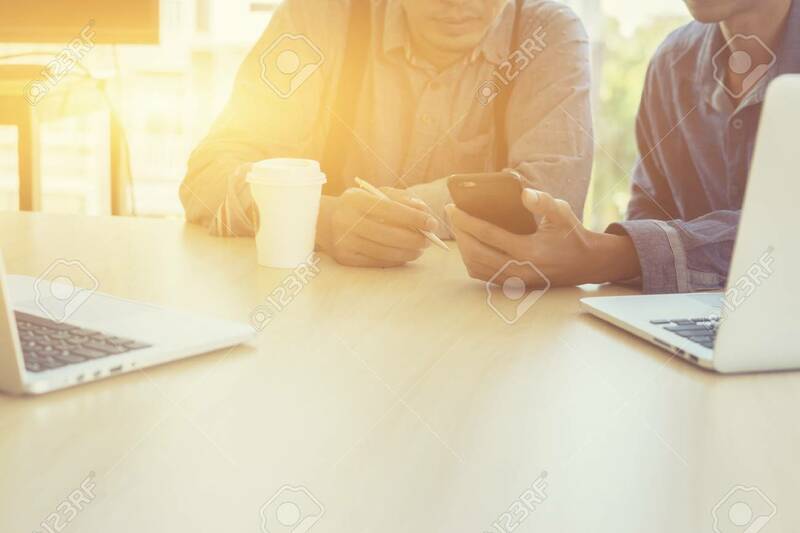 Group Of Friends Are Using Gadgets During Recreation Time In Coffee Shop.vintage Color Banco De Imagens Royalty Free, Ilustrações, Imagens E Banco De Imagens.. Image 66427802.